One of the things that we do at my firm is help our clients write requests for proposals (RFPs) and manage the email marketing vendor selection process. While all vendor selection processes are specific to the client’s specific needs, there are a few major categories that we find consistent. This is particularly true for marketers who are embracing the Connected Marketing Framework, managing not just email, but also mobile, social, and the channels adjacent to digital marketing. Given the overwhelming need to powerfully integrate email marketing into a broad array of channels and datasets, marketers should emphasize the value delivered from these integrations by taking the following into consideration when selecting a vendor. 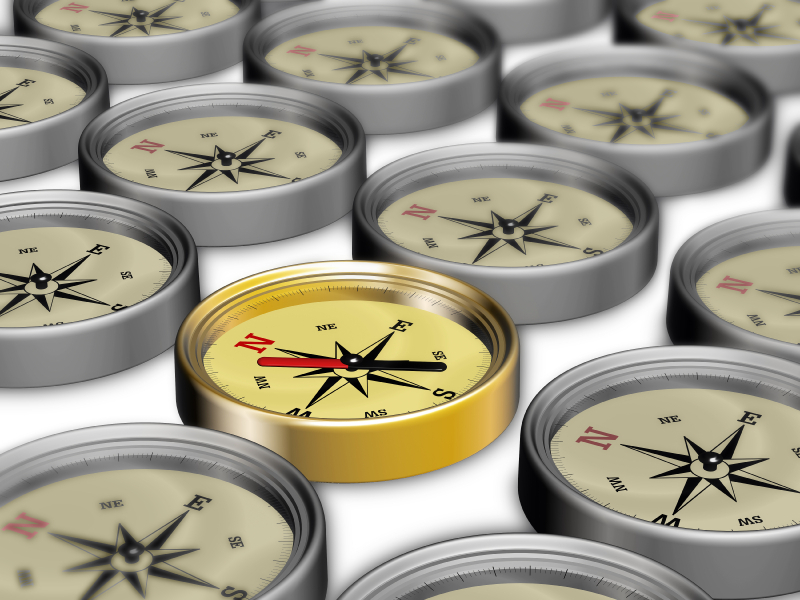 Considering the evolution of the current market and the expectations for its continued change, marketers must adapt their email marketing vendor selection by mapping it to these three major categories. Channels served. Encompassing the entire digital marketing continuum that is necessary to empower the customer lifecycle of acquisition, engagement, retention, and advocacy. Email. The ability to schedule, throttle, and manage outbound email marketing and inbound reply handling. This includes segmentation, testing, dynamic content, triggered messaging, transactional message support, deliverability tools, and custom reporting. Social. The ability to extend email’s reach to social networks, launch and manage social marketing campaigns, and measure and analyze subscribers’ social behavior. Mobile. The ability to leverage SMS messaging as an email opt-in point and manage outbound campaigns through mobile messaging, as well as enlisting design remedies to ensure that email and landing pages render appropriately on small screens. Websites. The ability to deploy and measure microsites, landing pages, and blogging functionality, as well as optimize these pages for search engine marketing placement. Functionality should be present for retargeting of page content or display ads that tie to email offer content and/or subscriber click behavior. Search. The ability to leverage the relationship between paid search (SEM) and email marketing in terms of enabling efficient list building and relevancy. Also, the ability for email recipients to share content in emails to the web that is automatically optimized for natural search. Usability. While ease of use is placed firmly in the eye of the beholder, marketers must judge usability by the solution’s ability to easily reuse, store, and organize mailings, campaigns, data, and content. Such an emphasis on reuse and overall usability will create much-needed efficiency for the marketer. Also, pay careful attention to the vendor’s use of scripting and the specific scripting language. Subscriber integration and management. The ability to manage not just subscriber data for email, but also additional marketing channels so that marketers can understand and manage the interrelation of a subscriber’s channel preference across the entire customer lifecycle. A differentiation in this attribute is the integration of relational data into email databases to allow the marketer to utilize a broad dataset for segmentation and targeting. Content. Often a missing piece of functionality within email marketing applications, the need to augment legacy content management systems will grow as marketers embrace a variety of digital channels. The ability for the vendor to store, manage, and organize a host of content attributes and formats, including video, are functions where there is a great lack of parity within the marketplace. Smart integration. The ability for a vendor to intelligently integrate to common external solutions, such as how popular sales force automation tools and databases must extend beyond a robust application-programmable interface and manifest into tight integrations with critical applications. Analytics. The ability to measure and analyze not only email marketing performance, but all relevant digital marketing channels including website measurement. The keys to improving the marketer’s relevance among her subscribers will be found within this piece of functionality. Redundancy. For most marketers, email marketing represents a huge mission-critical revenue source. Marketers must evaluate vendors based on their ability to provide redundant operations in the event of a crisis. This includes the service-level expectations when downtime occurs as well as maintenance windows and how such planned maintenance impacts mailing schedules as well as email messages that have already been deployed. Strategic. The common thread of email marketing over the last decade was that each year brought new challenges and the perpetual bar of sophistication will continue to be raised. The importance of a comprehensive methodology of strategic best practices advice and services will continue to grow in importance. Marketers must use the vendor’s capabilities in this regard as a wedge to separate vendors in the selection process even when functionality differences cannot be easily discerned. Tactical. As important as strategic advice is, it is imperative that prospective vendors can provide the tactical services to lend a hand with the production and management aspects across the digital marketing spectrum. Support. The relationship that marketers have with their vendors is tempered by the quality of the vendor’s support services. While the cost of message deployment can be commoditized, marketers must recognize the premium associated with satisfying support services. Beyond functionality, we consistently find that the vendor’s inability to delight their clients is the single biggest issue that drives marketers to switch vendors. 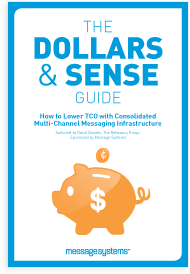 In this new guide by email industry analyst David Daniels you’ll learn all about the infrastructure savings businesses can realize today from consolidating their messaging infrastructure. If you’re a CTO or IT professional responsible for making or contributing to infrastructure purchasing decisions, you’ll definitely want to read this paper. It clearly sets out the business case principles and hard number arguments you’ll need to make sound messaging technology investments. Recognize significant business value by utilizing a single message management platform to support all types of digital messaging – email, text and more. Save 75% or more over disjointed, older generation solutions. Reduce costs by almost 83% through leveraging common labor, power and other resources.